Amid ongoing speculation over the future of Jose Mourinho at Man Utd, the Sky Sports Soccer Saturday panel have put forward an unlikely name. After spending over 20 years at rivals Arsenal, host Jeff Stelling and panelists Paul Merson and Charlie Nicholas believe that Arsene Wenger is worth consideration for the job at Old Trafford. It comes after a fresh report on Friday night from The Mirror suggesting that Mourinho would be sacked this weekend, a claim that has since been rebuffed by the club, as per the tweet below. 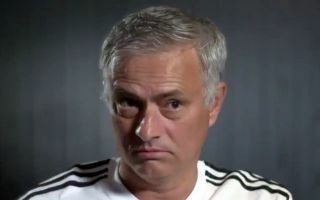 However, it remains to be seen how the situation plays out as with the Red Devils currently on a four-game winless streak, there is no denying that the pressure is on Mourinho to improve results, particularly with all the ongoing talk of unrest within the camp involving players. Although the end of his tenure in north London was undoubtedly disappointing and showed signs of decline after many years of playing great football, winning trophies and showing great consistency without spending big money, the panel discussed the idea of Wenger at Man Utd. “Seriously, that’s not the worst idea in the world. You’ve got to look at what Wenger did,” Merson said, as noted by Sky Sports. It’s surely highly unlikely that this plays out, as given his commitment to Arsenal over the years and the expected desire to appoint a manager in tune with modern day football and who can offer longevity, Wenger arguably won’t be anywhere near the list of potential candidates. Nevertheless, the trio above have made their point and believe the veteran French tactician could be the right man at the right time for United as they continue to struggle to meet expectations and importantly are not in line with the attacking culture and tradition that has been built in previous years.